Hey all! Welcome to the last week you have to prepare for Memphis! Scary, huh? It’s been a busy few weeks for me, so Memphis really snuck up on me. Fortunately, I don’t think there’s much debate as to which deck I’ll be playing so I’m not going to be scrambling last minute! I’m joking to some extent, but Gardevoir is just that good. I’ve played it a lot since London and find myself more and more enamored with the deck. Few games feel unwinnable and most feel like inevitable victories, assuming you have enough time to finish out the game. Similarly to my pre-London preparation, I have been using the Gardevoir matchup as my measuring stick. I’ve tested some interesting decks like Decidueye/Zoroark, Lycanroc/Zoroark, and a cool Tapu Koko/Espeon spread idea, but have mostly tabled them due to bad results when tested against Gardevoir. Most players I’ve talked to can’t even argue that any of these decks have a better than 50/50 matchup vs Gardy. I don’t feel comfortable taking a coinflip against the best deck in the format if I’m not just playing it myself. For today’s article, I’ll be discussing how to play some of the newer matchups for Gardevoir, as well as some tech ideas that I’ve considered. Some of these in game strategies can turn matchups around, and make you reconsider the format through a new lens. Let’s get started. The star of tonight’s show. I list the 3rd Kirlia here more so because it’s often cut from some lists, not because I myself would want to cut it. Playing 3 Kirlia essentially guarantees that you get full value out of your Beacon even if one is prized. I can’t stress enough how important it is to have Kirlia to set up your Stage 2s by Turn 3 or 4. 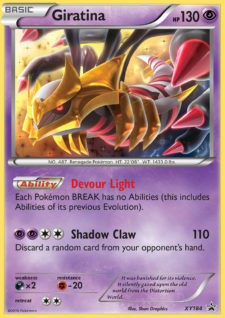 Most decks in the format have easy access to N, but you want to have the optimal hand to go off when your opponent actually does miss the N to get rid of your searched out Pokémon. And sometimes you just want to use Beacon to bait an N when your hand isn’t very good. Being able to use Kirlia here to threaten 2 Stage 2s in a few turns can ensure you’ll be met with an N when you want to be. The reason to cut Kirlia is that you usually don’t need to use all three. It’s a bit greedy to cut one, since you can get punished by your prizes and it’s harder to draw into them off an N or Sycamore when you need to. But, with 4 Rare Candy and 2 Kirlia, you’d have the resources to theoretically set up more than enough Stage 2s and an extra spot in your list. one I’ve seen players trying out. Having the 2nd Gallade significantly improves your setup. Even without Octillery, being able to control your topdecks lets you develop your board while using supporters like Guzma and Brigette. The ability to control what gets discarded vs drawn with next turn’s Sycamore can’t be understated as well. Getting Premonition online is just that much easier with a second copy. The other reason that I like the second Gallade is that it’s incredibly hard for some decks to take both of them down. Some decks only can ever OHKO 1 Gallade, like Zoroark/Golisopod with their Crossing Cut attack. Other decks, like Zoroark/Lycanroc have to dig deep with plays like Dangerous Rogue-GX or Mewtwo+Kukui to get the KO, or rely on Zoroark BKT which can be played around. Buzzwole/Lycanroc has much the same problem, where any of its answers to Gallade aren’t great in the face of a Gardevoir, and typically just use up too many resources to the point where the Gardy player is favored late in the game. This is probably the cut I like the least right now, as Zoroark-GX is very prevalent in the metagame. I could see swapping the Gallade for a Gardevoir if Psychic weakness were a problem or Fairy was just such a powerful type, but this just isn’t the cut to make in the current meta. This is a cut I’d only make for a Rescue Stretcher, but the option to shuffle in Energy outweighs the option to bring a Pokémon right back to my hand right now. If you don’t have the 2nd Super Rod, you almost assuredly commit to shuffling in a Super Rod and/or 2+ Fairy Energy on the average Twilight, and I’d rather be able to make that decision for myself. This is another greedy cut you could make if you have something else you really want to fit in and you wouldn’t impact your average game too much. 3 Max Potion + Twilight is enough to beat most decks, assuming you Twilight 2 or 3 back in each game. Cutting a Max Potion also can smooth out your draws and give you more cards that are “live” or playable at any given time. However, the one matchup where you’ll definitely miss the 4th copy is in the mirror match. There are often stretches where you want a Max Potion 4-5 turns in a row and missing for a single turn can give your opponent the opening to take their final prizes. I also value the ease of hitting a Max Potion over the disadvantage of having a potentially dead card, so I’m not considering dropping this count. This is the card that I’m most in favor of cutting, mostly due to the fact that it doesn’t significantly impact a specific matchup that is relevant in the metagame right now. Limiting your opponent’s bench can annoy an opponent in some matchups but it usually doesn’t do more than slightly slow them down. Discarding your own Lele can guarantee the win in some close games but it rarely makes a difference to be the reason for including it. Both Field Blower and Parallel share the ability to bounce annoying stadiums like Po Town, but Blower has the edge due to the option to discard Tools. Discarding Fighting Fury Belt can be crucial for beating Volcanion, and discarding Choice Band gives you an edge over Tapu Bulu and other Gardevoir decks. The common reason for cutting a Field Blower is the decline in Garbodor decks, which albeit true, does not mean that Field Blower is useless. Mime can stop benched damage from Buzzwole, or Tapu Koko in decks like Tapu Bulu. However, both of those decks are pretty beatable without Mime so I’m not sure why I’d play it. It may impact the Decidueye matchup but I don’t think it’s a matchup you need to tech for, nor is Mime the best tech for the matchup. You have to consider Giratina for every tournament but you feel bad for doing it. Greninja is a winnable matchup, or often you can at least force a tie in best of 3 play, but it’s definitely unfavorable. If you think you’ll hit 2 Greninja in a day, Giratina is probably worth the spot. However, I don’t see a lot of Greninja in most tournaments, especially a major one like Regionals. Now, this is probably the best tech for the Decidueye matchup if you felt the need to tech against it. For a metagame as wide open as Memphis, I don’t think I expect to play against enough Decidueye that I would want to tech against it. I could see justifying the inclusion if your local area has a lot of Decidueye for a League Cup though. Parallel lowers their Zoroark’s damage output, and typically causes an unfortunate discard or limits the usefulness of an early game Brigette. A second copy would also just be more useful overall, but not in any of the problematic matchups for Gardevoir. This is a cheeky addition that I’m not sure I’d want to go with because it doesn’t impact any specific matchup. But, the attractive part of this count is for any times where your opponent thinks they know your exact decklist and sees 3 Guzma in your discard. They might build up a big attacker on their bench to go for a game winning attack on a later turn. If you can Guzma that, maybe you win the game right there. It’s a niche play, but may impact games enough to be worth the spot. I’m testing it right now, but it’s hard to test, as it basically relies on your opponent not knowing you play 4 Guzma! Let me show you how I fight! Whenever someone comes to me with complaints about Gardevoir’s ability to set up, my first question is usually something like “how often are you using Gallade?” As I’ve outlined a bit earlier, Gallade is the glue that holds the deck together. 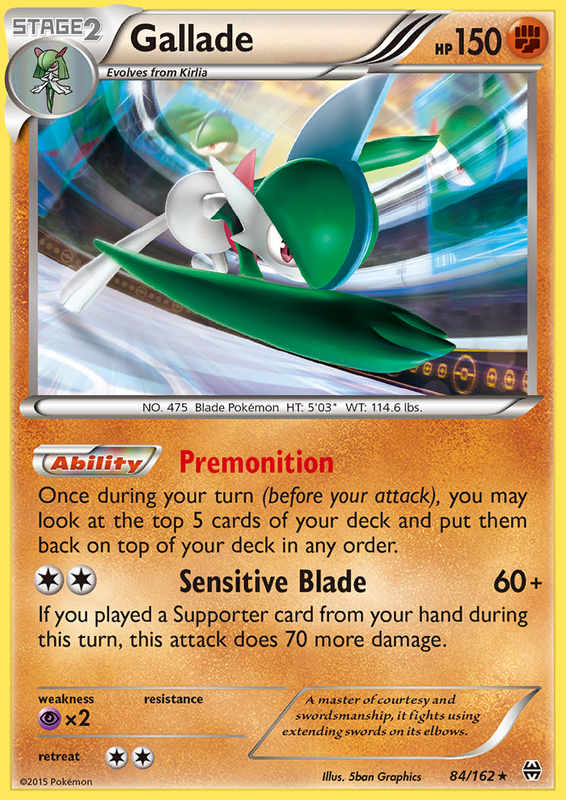 Not only is the consistency boost from Premonition crucial for your set up, but using 1 or 2 Gallade in the early game as an attacker sets up the prize trade to favor you as the game progresses. What do I mean by that? Realistically, you want your opponent to have around 3 prizes by the time you start attacking with Gardevoir. This way, you still have some room to give up a KO on a Gardevoir or a Lele without losing the game, but an N to 3 still disrupts your opponent to the point where it’s hard for them to get a knockout. Even with Octillery, Oranguru, or Zoroark-GX to help with consistency, it can be nearly impossible to turn 3 cards into enough to OHKO Gardevoir in some situations. Gallade giving up only 1 prize but being a significant threat that requires a response is usually what leads to these situations. Another general tip is: don’t be afraid to discard resources in the early game. Discarding cards like N, Sycamore, Guzma, DCE, and Max Potion can seem like plays that you have to avoid, but you always have Twilight to shuffle them back in later. All you need to do is focus on setting up Octillery and your Stage 2s and the rest of the game kind of just falls into place. You can even discard cards like Rare Candy which, although it is a bit risky, makes sense since you don’t need all 4 of them in any game as previously discussed. The overall takeaway is to critically consider each of your resources and whether or not you need the card at the current phase of the game or if you can discard it when the opportunity arises. Then, I decide whether or not the play is worth preparing for depending on how likely it is for them to pull it off. I’m a pretty conservative player so I usually play around anything that has a reasonable chance of being executed, but even I have to concede some risk in some situations because of other factors (time being the most common). It’s also really important to know which cards your opponent could play, so study up on decklists for popular decks. I’ll give some examples of my thought process in specific matchups below. This is the matchup I get the most questions about, and it has a surprisingly simple answer. My number one tip in this matchup is to promote Tapu Lele as your active as soon as it makes sense. The way you lose this matchup is by giving up 4 easy prizes in the form of 60 HP basics or 2 of those and 2 off a Lele, and then a Buzzwole or a Lycanroc builds up to an OHKO on Gardevoir. If you retreat into Lele early, you make it significantly harder for the Buzzwole player to take early KOs on Basic Pokémon. The other reason that I like to pivot into Lele in this matchup is that the 60 damage that it hits for (at realistic minimum) works beautifully to set up KOs on Buzzwole. From here, you can get an OHKO with Gallade, which is nearly impossible for a Buzzwole deck to take out. 30+30+50+50? The math doesn’t add up, unless they use a 3 energy or GX attack. If they use a 3 energy attack, Gardevoir can clean up really easily. If they use a GX attack, Gardevoir is much safer for the rest of the game. And if they ignore the Gallade, you should be more than happy to place 130 damage on their board every turn until they lose the game. Overall, this matchup is pretty favorable as long as you can survive in the early game. It’s also one that you need to be conscious of the round time for, since you might need more turns than normal to mount a comeback if they put too much pressure on your set up in the early game. Don’t be afraid to concede games that are out of hand as the average game should favor you. I recently started testing this matchup after players like Rahul Reddy and Ryan Sabelhaus saw success at League Cups with the deck. Before playing it, I assumed Gardevoir would be favored similarly to how it’s favored against Golisopod/Zoroark. After playing it, I find my initial assumption to be mostly correct. Zoroark/Lycanroc has Mewtwo + Kukui or Lycanroc’s attacks as its main ways to KO Gallade instead of Golisopod’s Crossing Cut, while still keeping Zoroark BKT as an option when your opponent plays into it. All of these are significantly helped by the addition of Professor Kukui, as it makes all of these options much easier. The +20 from Kukui means that Lycanroc can get an OHKO without 2 Strong Energy or using its GX attack, enables Zoroark BKT to still find the OHKO when the Gardy player has 4 benched Pokémon, and is the only way that Mewtwo can get an OHKO at all. The problem here is, a Gardevoir player has really strong answers to all of these plays. Attacking with a 3 energy Lycanroc means you’ll just get blasted in the face by a Gardevoir, and you have to have energy on a benched Rockruff and a GX attack available to have any meaningful response. Attacking with Mewtwo or Zoroark BKT means you’ll get OHKOed by a Gallade and you used one of your precious few outs to KO it already. From here, Gardevoir out trades their attackers even without Max Potion, so it’s smooth sailing if you’re ahead or even on prizes. Similarly to the Buzzwole/Lycanroc matchup, this one is heavily dependent on getting out of the first few turns with a decent board state. However, I don’t advocate for attacking with Lele in this matchup since Zoroark-GX can relatively easily OHKO you with Choice Band and Kukui. 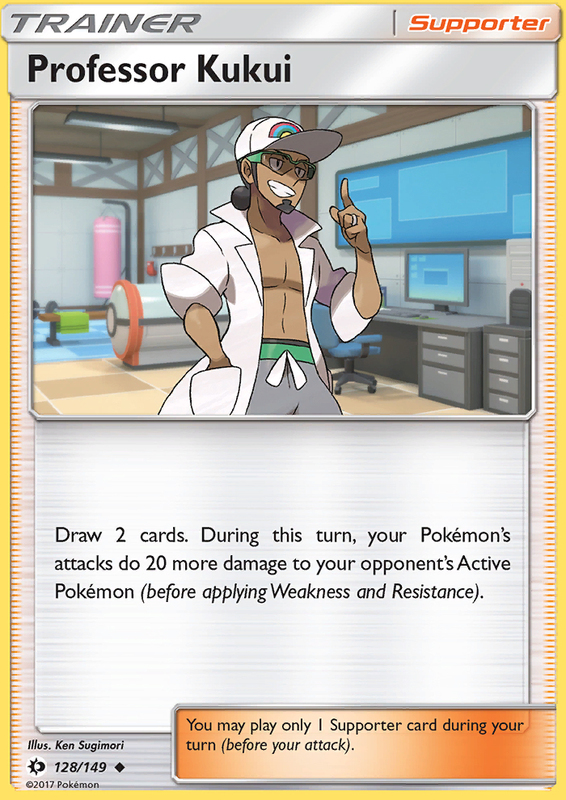 While Buzzwole could do that as well, it’s easier for you to punish that Buzzwole than it is to punish a Zoroark, especially if they have a Mewtwo+Kukui in response to your Gallade. The other difference is that this deck has easier access to Lycanroc’s GX attack to OHKO Gardevoir to close the game out. However, if you can limit your bench to 3 or less, it’s all but impossible for them to OHKO your Gardy. This matchup is definitely favorable, but trends closer to 50/50 than Golisopod or Buzzwole variants do. There are a lot of threats to worry about, and their options to take OHKOs or gust your benched Pokémon with Lycanroc are concerning. Make sure to look at some lists to see which threats you need to play around and which ones are likely to happen at a given time. Jimmy Pendarvis wrote about this matchup as well if you want to read about it from the other side. I wouldn’t mention this matchup typically as Tapu Bulu decks don’t usually make up a significant portion of the metagame, but they’ve seen a resurgence lately. I played two of them at one of my League Cups and have seen another list circulating recently so it might be worth learning how to play the matchup. The traditional lists for Vikavolt actually don’t threaten Gardevoir too much, especially if you know their gameplan and what it relies on. Since Tapu Bulu only deals 180 damage, and can hit up to 210 with a Choice Band, they need some way to KO Gardevoir. Old lists typically use Tapu Koko to spread that final 20 damage, usually right after you play your Ralts down. I like to get a Gallade out ASAP to KO their Tapu Koko and any subsequent copies they might play. You can just Max Potion off that 20 damage and it becomes nearly impossible for Vikavolt to close out the knockouts they need. Or, if you run them out of Choice Band with your Field Blower, you don’t even need to Max Potion off the damage from Koko! The threatening parts of this matchup are Clefairy EVO and Tapu Koko-GX. You always need to know if your opponent has these in their Vikavolt deck and play around them if possible. In the late game, this matchup usually gets to a point where my opponent has few energy remaining since they had to discard them with Tapu Bulu to OHKO my Gallade or deal with any Gardy that I couldn’t keep out of reach. Since time is often a factor, I like to load up a Gardevoir with as much energy as is safe to finish a game quickly. However, if your opponent has Clefairy or Tapu Koko available, they can punish you for playing too many energy. 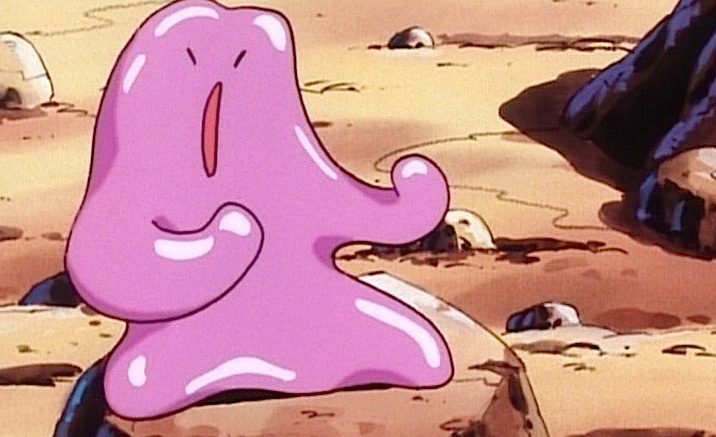 Keep these Pokémon in mind when considering how much damage your opponent threatens you with on the next turn. The new list I’ve seen plays a 2-2 Octillery, as well as heavy counts of Choice Band and Professor Kukui to threaten OHKOs against Gardevoir. I have yet to play against this list and question its ability to set up in any decent amount of time (it doesn’t play Sycamore), but I do know how I’d beat it. Similar to any other Vikavolt matchup, I’d plan to go down 2-3 prizes in the early game and then start attacking with Gallade. You can target their Vikavolt or Octillery down if the opportunity presents itself, but I don’t think you need to focus on that. Later in the game, I’d hit them with a Parallel City which should give me the option to stop them from getting a KO on the next turn. If they leave themselves with a bench of Vikavolt, Octillery, and attacker, you can gust up the Vikavolt and leave them without Energy acceleration for a few turns. If they have 2 Vikavolt, you can KO the Octillery to make it harder to find both the Choice Band and Kukui to OHKO a Gardevoir. Even if you can’t Guzma, the threat that you could might cause a Vikavolt player to discard their only attacker on the bench with a Parallel City, so an N to 2 or 3 might cause them to struggle to OHKO your Gardevoir. I’ve never felt like I was unfavored in this matchup, but it can quickly spiral out of control for a Gardevoir player. My last tip is to be liberal with your Max Potion use, don’t be caught wishing you had used it to prevent an unnecessary knockout! I actually find this mirror to be a lot of fun, as it rewards whoever makes the least mistakes and whoever can come up with the best gameplan. Every game plays out differently based on the decisions you make in the early game and each player’s individual set up. Usually, I like to set up a quick Gallade (as always!) and start playing really aggressively with Guzma. My target changes from game to game but Kirlia and Octillery are my favorites. I’m usually looking to prevent my opponent from getting as many Gardevoir in play as I can, so I make my choice accordingly. If they already have a Gardevoir and/or a Gallade in play, I usually like to target any remaining Ralts or Kirlia so they can’t become Gardevoirs. However, if I’m set up early enough, it might be worth targeting the Octillery so they don’t go off with a turn of 2-3 evolutions at once. The best part about starting your offense with Gallade in this matchup is that the only good OHKO answer comes from a Gardevoir with 3 energy. If they don’t go for this, you can always Max Potion and continue to Sensitive Blade. If they do, you can respond with a Gardevoir of your own, and 4 energy plus Choice Band is enough to OHKO them. This is the point where you need to know if they can respond to your or not, and if they have/can get a Gardy in play, the answer is yes (DCE + Secret Spring + Choice Band). However, if you have a way to respond to that Gardevoir that OHKOs yours, you likely just win the game. So sometimes it’s worth playing into this line. However, most games don’t feature you playing as aggressively, and instead just using Infinite Force with a single energy attached, an especially good play when you have Choice Band to increase your damage output. You spend most mid-game turns trying to make sure you can threaten a KO if your opponent ever misses a Max Potion while never failing to find one yourself. It’s in these games that I’m constantly calculating how many energy I can play on my Gardevoir without my opponent being able to OHKO them on their next turn. I’m also assessing the chances of them having a Max Potion, Guzma, DCE, or Choice Band in different scenarios and how badly that would impact my board state. It’s all about how many risks you’re willing to take and having a backup plan for when you take a bad one. Thank you all for reading, and I hope you’ve found this helpful for your Memphis preparation. 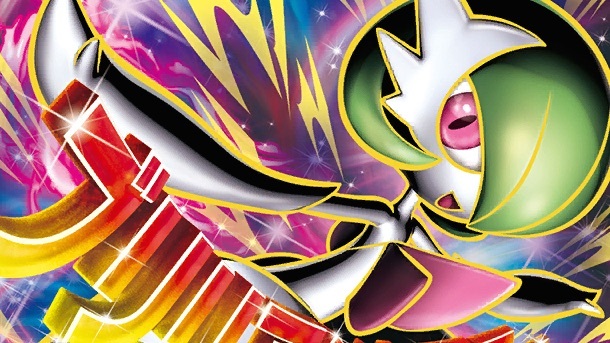 If you’re looking for more reading material on Gardevoir, Mike and Jimmy wrote about lists before London, Brit, Christopher and I wrote post-London analysis, and Xander talked about the Golisopod matchup (from the other side) recently. I wish you all the best of luck in Memphis or any League Cups you have in the next few weeks. If you put in the work with testing, the format is in a great place right now and should reward players who grind out games to learn the matchups. The fate of your season is firmly in your own control.